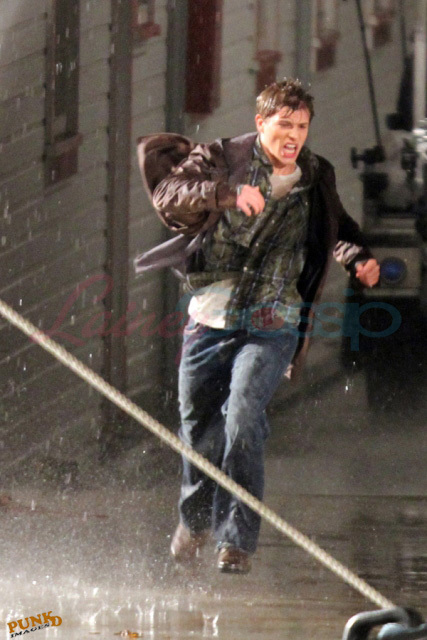 This scene probably has to do with Bella's newborn and him hunting with the other vampire visitors. Here you can see just how freaky they look in the grey light of the morning..
A sneak peek into the world of Eclipse is what a lot of fans have been demanding for the past few months. Actually since the release of New Moon to be precise, the trailer that has everyone interested is said to last 7 minutes and is all about Eclipse. The trailer release date is set on the same day and included with the deluxe edition of New Moon. This means that March 20, 2010 is the day we've all been waiting for! MTV has announced that the Eclipse trailer would be included as a promotion to increase sales at Walmart, which is ridiculous. Don't worry we will present you with the movie trailer in question as soon as it leaks online. She might be less popular because of the man appeal of Edward, but Kristen is a fantastic actress nonetheless, she has charm and a captivating way of speaking and expressing herself. The Twilight Saga wouldn't be what it is without her wits and charm. 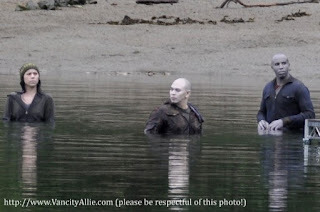 "This first-look at 'The Twilight Saga: Eclipse' then concludes with the world premiere of an actual scene from the film between Bella and Edward that will surely have "Twilight" fans swooning. " Fan us on Facebook so we can notify you as soon as we get a hand on that trailer! 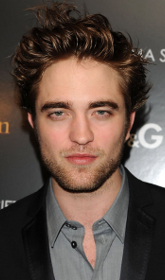 And comeback on the 20th for the first official look at the Eclipse Movie Trailer. And yes it is, unfortunately being the kid at heart that I and many of my friends are (because of me) I answer "So What!" If you are planning to have a party other than for Christmas and really want to go all the way on the funky scale this is definitely the way to go I know, I have. And you reluctant friends, well they'll probably end up having way more fun than you, because it will be your house they'll trash at your Twilight Eclipse Party. 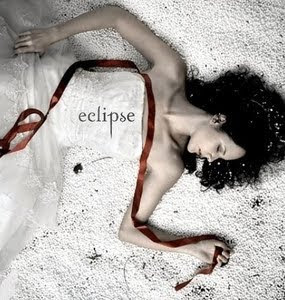 The Idea first came up when when we decided that we had studied enough and wanted to just relax and with the coming out of New Moon and me having this quite popular Eclipse website that the theme would be based around the Twilight Books. And obviously many of them didn't feel like bringing their first edition books was even remotely possible around so many intoxicated people(themselves included) we ended up going with the safe way out, which was to get the the audio book. It ended up being way cooler with a Marylin Manson CD in the background and the enchanting words of the author telling the story of Edward and Bella. So the audio books literally saved the live of some bloke who would have had to read the whole thing out loud instead. 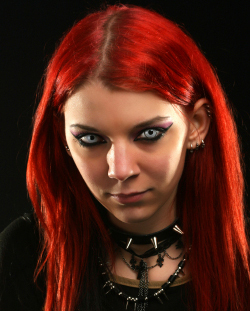 Secondly these modern vampires all you need to look like one was some sparkles that you can borrow from your girlfriend and a pair of coloured contact lenses and what's amazing about them is that the ones you buy online come in a variety of quality's and sizes so that you can even find a pair with your exact prescription. That and some blood red food colorant to keep the good stuff looking right on theme with the vampires and werewolves in the Twilight Eclipse and other audiobooks, a friend also found the board game somewhere but that I would recommend to hide a few hours into the night . As for game just look at what is below and let your imagination run loose the most fun one's are usually those custom tailored to your crowd and you also have the pride of saying afterwards. We invented that one at the Eclipse Party! Eclipse Actors Photo's Just For You! Lately the Twilight New Moon Actors have taken a brake from filming the upcoming third chapter of the Twilight Saga and instead started promoting the New Moon release so we have some exclusive insider pictures for you from one of these events!! Located at the West Edmonton Mall which is North America's "LARGEST" considering it has it's own water-park and zoo I would have to agree...And lately hosting the "Twilight Event". Attending the event were a horde of teens (mostly girls) and three of the actors Christian Serratos, Chaske Spencer and of course Kellan Lutz. 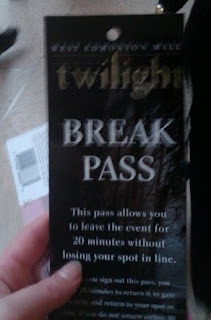 Above is a Break Pass valid only for 20minutes!! 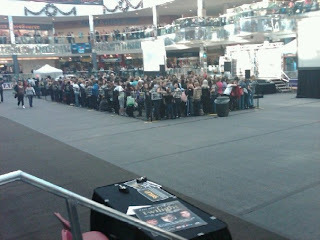 Above you can see the crowd waiting to get their twilight books signed and ask questions to their favourite actor or actress just sad that Kristin Stewart and Robert Paterson weren't there. Personally I would recommend for all to get the twilight audio books, "The Whole Twilight Saga" they are just amazing to listen to on your Ipod and save a lot of time you would usually spend reading. And ohh.. you have to hear the movie mp3 ringtones they Rock!! As Posters and pictures keep on mysteriously appearing online it was inevitable that a trailer of some footage would show up. 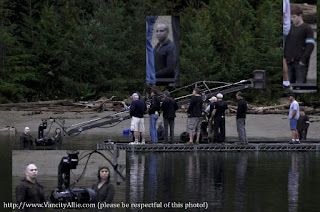 So we are proud to present you one of the scenes of the new Twilight 3 Movie Trailer Eclipse! Includes Xavier Samuel and the filming crew, basically he has the role of Riley and is attacked by a fellow monster and overwhelmed in the blink of an eye by werewolf or vampire?? Who knows we'll have to watch the movie for that!! Fellow fans enjoy the trailer! 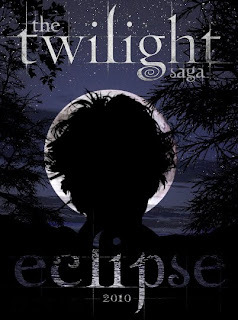 COPYRIGHT © 2009 eclipse-twilight-trailer.blogspot.com - All names, trademarks and images are copyright their respective owners.